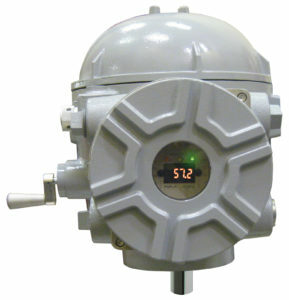 The Group 57 quarter-turn valve actuator offers the benefit of a smart, feature-rich control package that provides precise positioning, easy setup and configuration, multiple control options, flexible alarming, and diagnostic capabilities. All Group 57 actuators are equipped with Beck’s time-proven Digital Control Module (DCM) technology. The DCM positions the actuator in response to analog, digital or pulse control signals and provides a myriad of configurable functions, features, diagnostics and operating preferences. The actuators are also equipped with a contactless, non-wearing position sensor to monitor the output shaft position for both control and remote monitoring functions. In modulating applications, the DCM continuously compares the Position signal to the Demand signal and takes the appropriate action to position the actuator’s output shaft as required to within 0.1 degree rotation. Beck’s DCM provides modulating control of the actuator in response to standard control system signals including 4-20mA, Modbus, Direct AC control, and contact closure operation. Suitable for continuous operation in temperatures from -40º F to 185º F (-40° to 85° C). Configurable stall and (optional) over-torque protection of the actuator and valve. The Group 57’s non-wearing contactless position sensing technology will provide reliable control feedback for many years without any required maintenance. 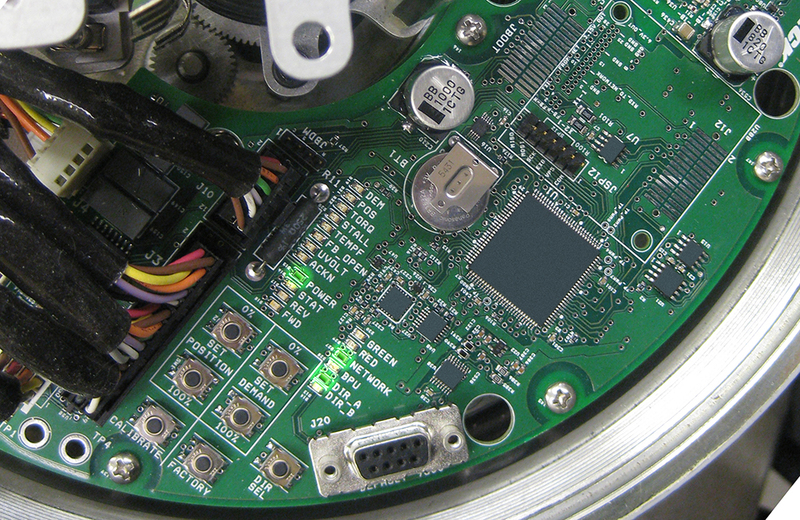 Sensor provides the DCM with a continuous feedback signal proportional to the position of the actuator’s output shaft. Utilizes magnetic vector sensing technology directly connected to the output shaft. No alignment or calibration required ever. A 4–20 mA position feedback signal is generated for remote indication.